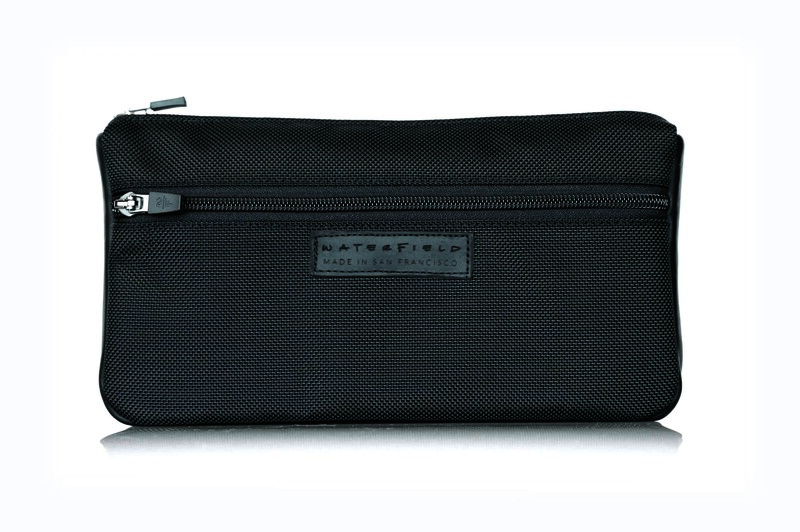 WaterField Designs announces the new Padded Gear Pouch, a thin yet protective organizer for every kind of gear: technology, travel, toiletries, entertainment—just about anything. The Made in America cases are available now from the company's online store. The Padded Gear Pouch remains slim and light even when packed to the brim, making it much easier to stash in a bag or suitcase than bulky items. 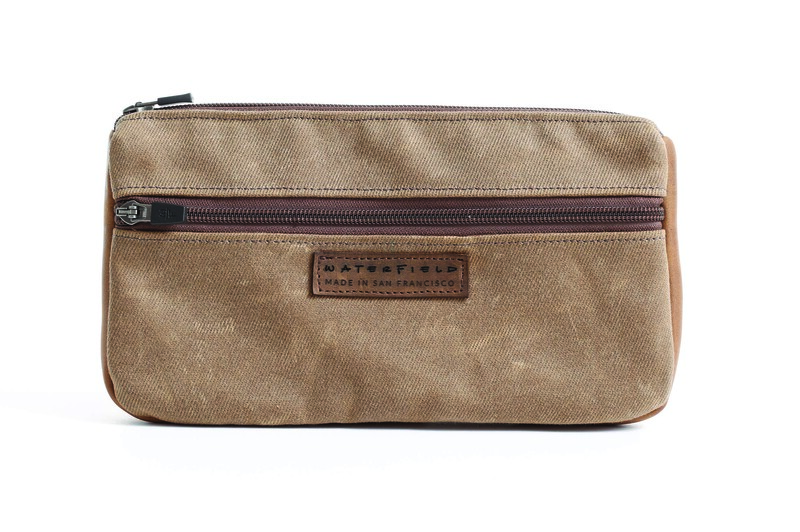 San Francisco manufacturer, WaterField Designs, unveils the new Padded Gear Pouch in waxed canvas or ballistic nylon with vegetable-tanned, premium leather accents. 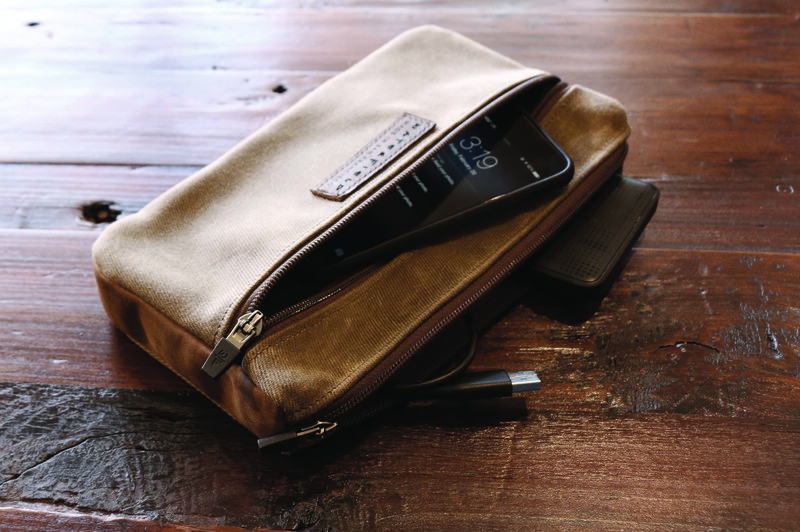 The sleek accessory pouch protects and organizes with padded pockets, self-locking zippers and water-resistant textiles. 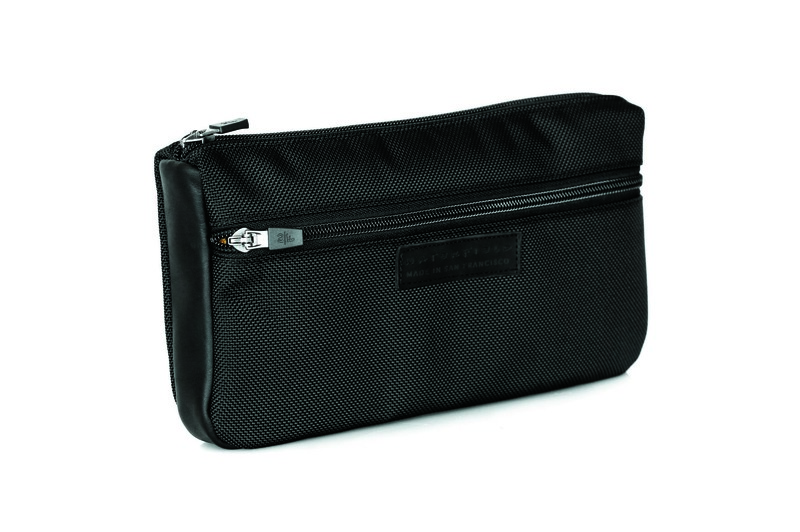 Compact and light, the Padded Gear Pouch remains thin for easy packing even when fully stuffed. The Padded Gear Pouch features one main compartment with several padded pockets and one front pocket with two organizational mesh pockets inside. 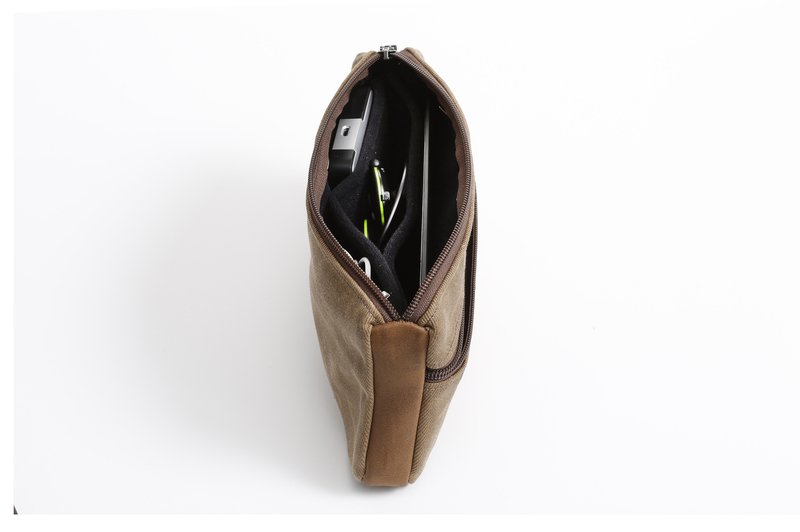 Each compartment closes with self-locking zippers. Both the tan waxed canvas and the black ballistic nylon color choices offer excellent water resistance. Tech professionals: iPad mini in large padded pocket, portable mouse and hard-drive in smaller padded pockets, headphones and wallet in main compartment. Front pockets for keys and additional cables. 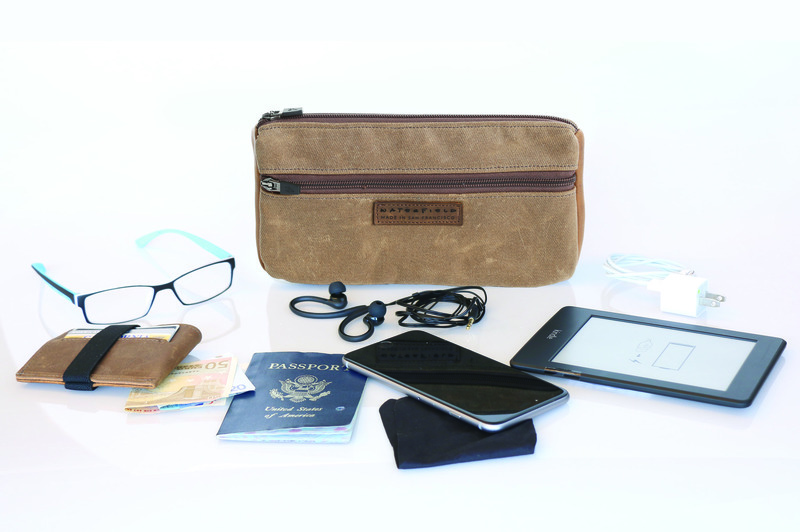 Travelers: eyeglasses in large padded pocket, phone, medications and headphones in smaller padded pockets, passport, wallet and boarding pass in main compartment. Front pockets for keys, Altoids, receipts and other miscellany. Entertainment lovers: Jambox speaker in main compartment, Apple TV or Roku and iPhone in smaller padded compartments, cables and ear buds in front organizational pockets. 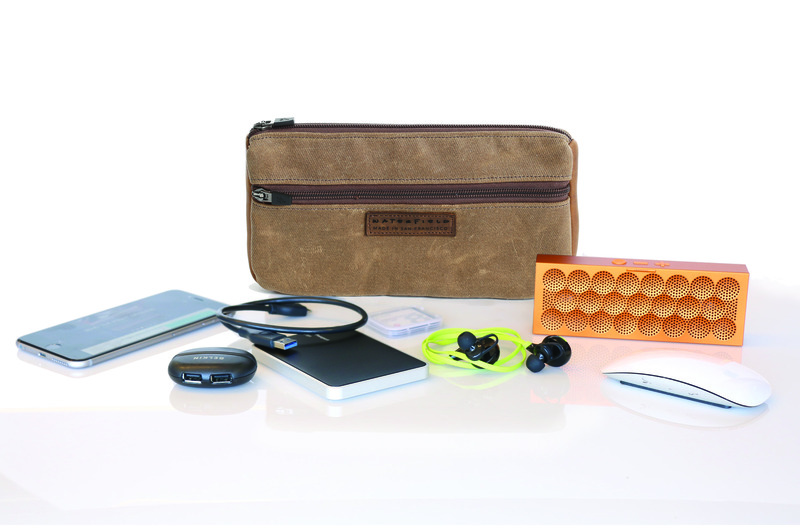 WaterField Designs, an innovative leader in custom laptop sleeves and designer bags and cases for digital gear, designs and manufactures all products entirely in San Francisco. The Padded Gear Pouch can be mixed and matched with other WaterField favorites including the Staad Laptop BackPack, the Bolt Briefcase, the VertiGo bag and others. 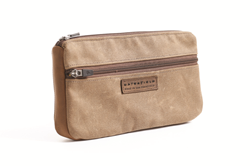 Colors: Tan waxed canvas with grizzly leather trim or black ballistic nylon with black leather trim. Leather is full-grain, vegetable-tanned. Dimensions: 9.5 x 5.5 x 1.3 inches. Weight: 6 oz. 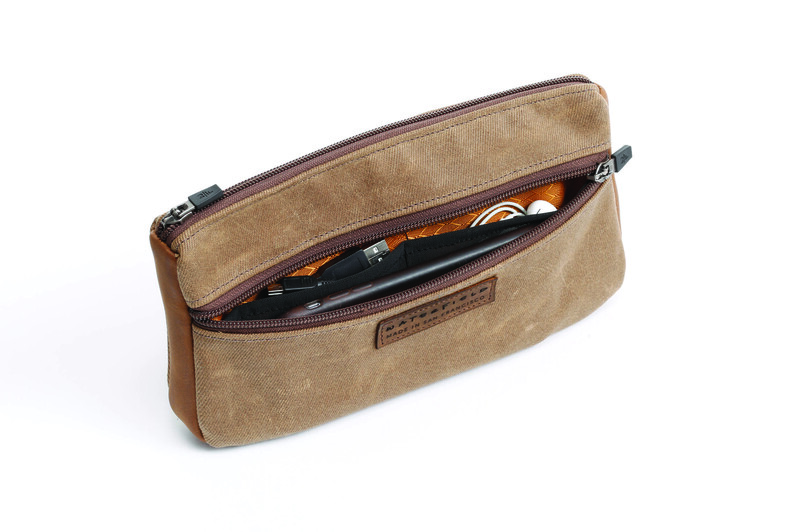 Shipping begins February 27 from the WaterField Designs online store.